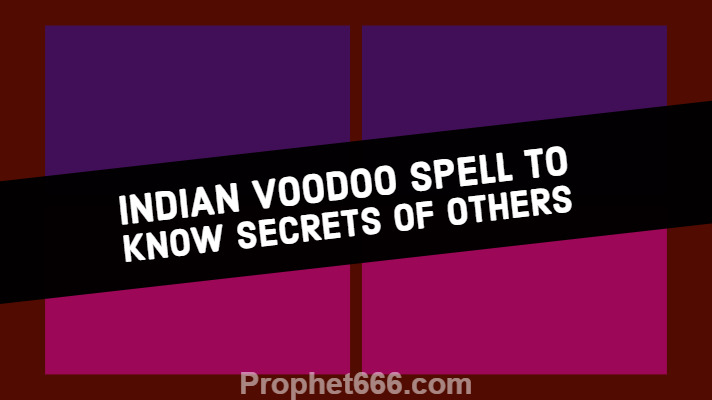 In this post, I have described a rare and unknown Indian black magic Voodoo Spell, which is cast by black magicians and Tantriks to uncover and know the hidden secrets of another person or discover what is going on in the mind of another person. This Voodoo Spell originates from the Kak Tantra, which is the paranormal science on the use of crows and their body parts in casting a wide and diverse range of Occult Spells. The procedure given below is followed by the spell caster to prepare a magic box, which has the paranormal powers to enable the spell caster to know the secrets of other people. 1] The spell caster has to catch a crow at 12 O'clock on a Tuesday afternoon. 2] Then, he has to keep the crow in a cage and for 13 days feed it with Honey mixed in Rosewater or Gulab Jal in the Hindi language and Curds. 3] On the night of the thirteenth day, the spell caster has to wring the neck of the crow and kill it. 4] Then, he has to cut open the stomach of the crow and remove its liver. 5] After this, he has to bury the crow in some isolated place. 6] The spell caster has to keep the liver of the crow in a small wooden box and every day light Dhoop or an incense stick before the wooden box, this should be done every day, until the livers dries up. This might even take about 15 days. 7] Then, when the liver has dried up, the spell caster should remove it from the wooden box and keep it in another small wooden box and add Sindoor[vermilion in English] and 2 to 3 grams of Kasturi [deer musk] in the box containing the crow’s liver. 8] Then, every night, for one week, the spell caster should without opening the box keep moving it lightly for about two to three minutes. Then to know what is going on in the mind of another person or to know about his hidden secrets the procedure given below should be followed. 1] The experiment should be performed at night, in total secrecy, apart from the spell caster, no one should be present in the room. 2] The spell caster, has to open the box containing the crow’s liver and bring a mental image of the person whose secrets, he wishes to know, in his mind and keep gazing at the crow’s liver for about four to five minutes and then close the box. 3] Then, the spell caster has to go to sleep and keep the box at his bedside. As per the Kak Tantra, the targeted person will on his own, come to the spell caster and disclose his secrets or what is going on in his mind. 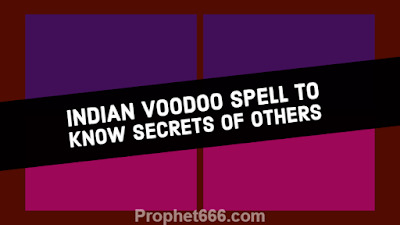 Notes- This is a standalone Indian Voodoo Spell and it does not need the chanting of any kind of Mantra or Prayer. The same magic box can be used multiple times on more than person, by following the procedure described in the second part of the article. Article has been written solely to give information about rare and unique Indian Voodoo Spells and Tantric practises and not to advocate the practice of the same.